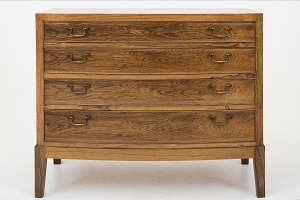 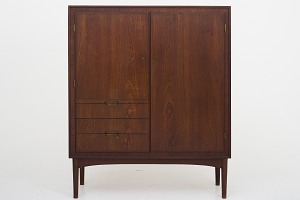 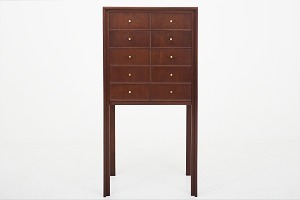 We have a wide selection of sideboard, cabinets, bookcases, chests, chests of drawers etc. 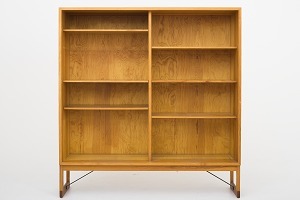 Bookcase in solid oak. 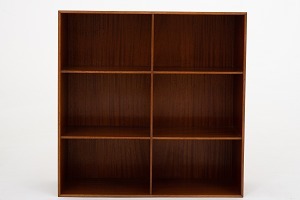 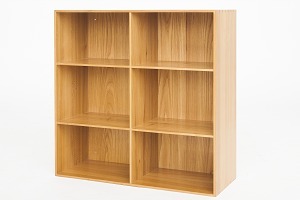 This is a sample photo and the bookcase is available in different variations and conditions. 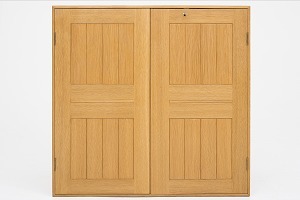 Please contact us for further information. 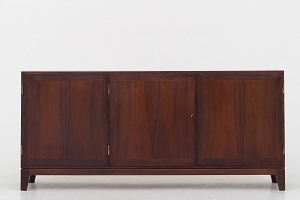 Sideboard in rosewood w. four doors. 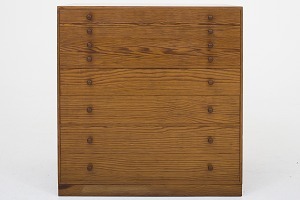 Linen-press/cbinet in patinated oak with two doors and two drawers with leather grip. 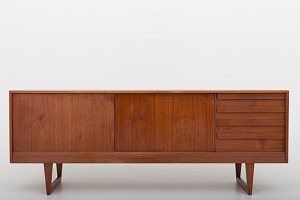 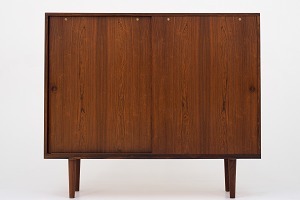 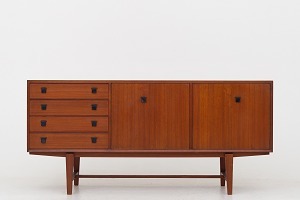 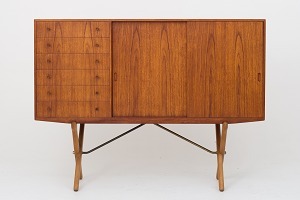 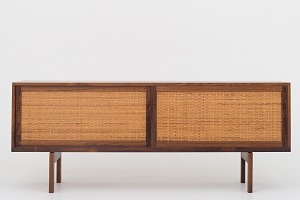 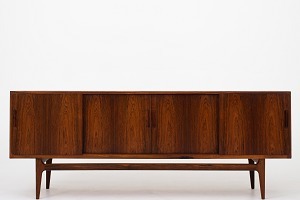 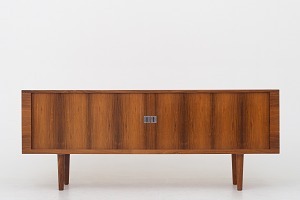 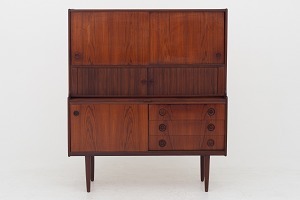 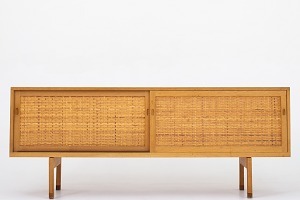 RY 26 - Sideboard in teak w. interior and veneered doors. 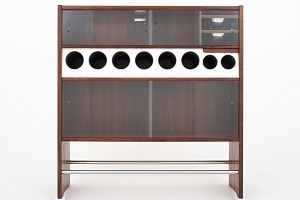 Rosewood bar with sliding doors in glass and top in white formica. 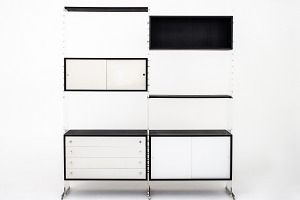 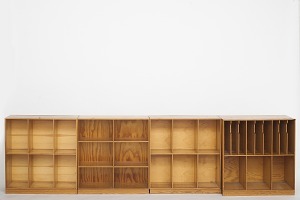 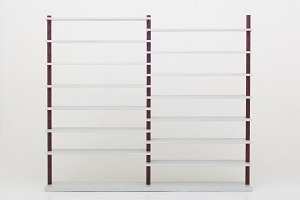 Shelving system of two sections with cabinets and drawer module. 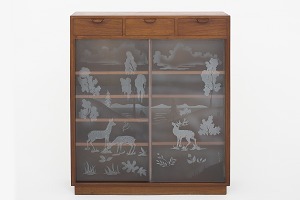 Black-lacquered oak, fronts of aluminium and sides of plexiglass. 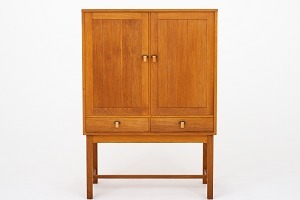 Linen-press in oak w. four doors and two drawers. 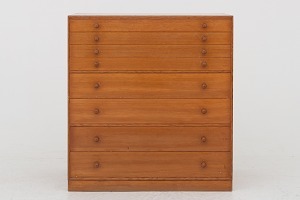 Chest of drawers in teak w. four drawers. 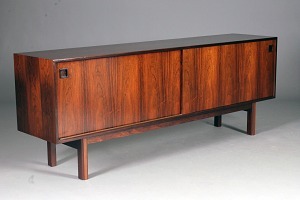 29A - Rosewood sideboard with drawers and sliding doors with black doors and bar. 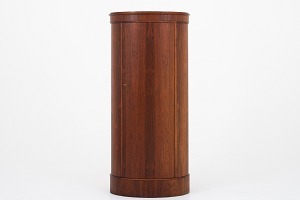 Pedestal cabinet in rosewood. 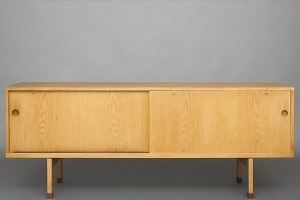 Model 205. 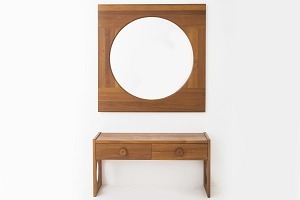 Wall-mounted vanity cabinet in rosewood with mirrors. 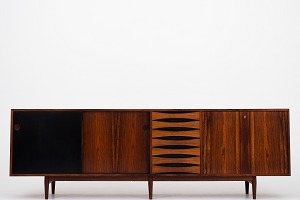 Designed in 1941. 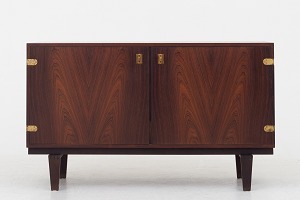 Called 'Young Lady Wanted'. 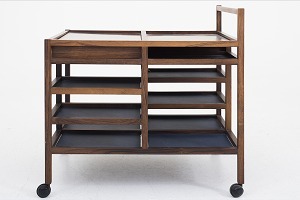 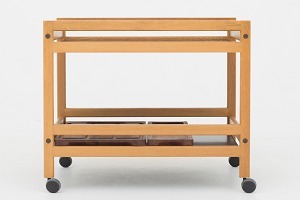 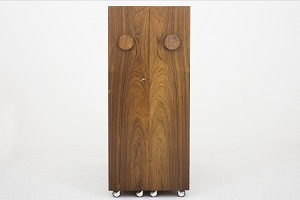 'Rungstedlund' linen-press in teak w. two doors. 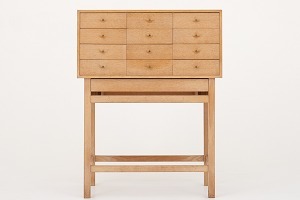 Bureau in oak w. 12 drawers and writing-plate. 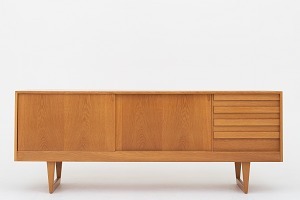 Sideboard in rosewood w. 2 sliding doors and interior in oak. 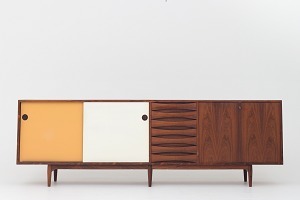 Rare model. 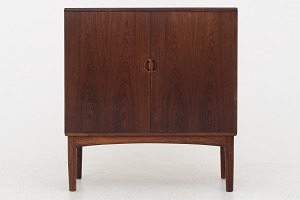 Cabinet in solid teak w. 2 tambour doors. 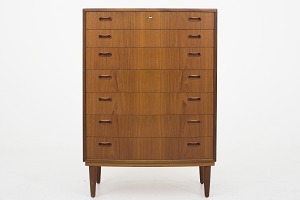 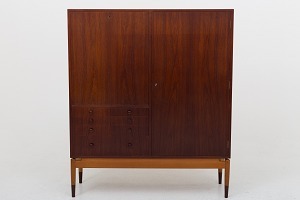 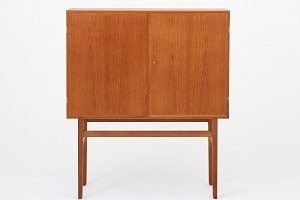 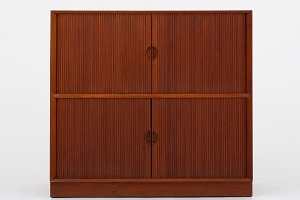 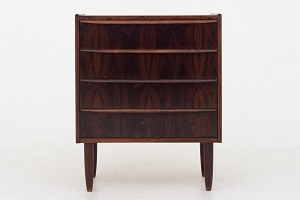 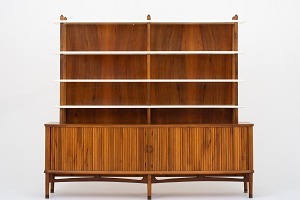 Cabinet in solid teak w. tambour doors. 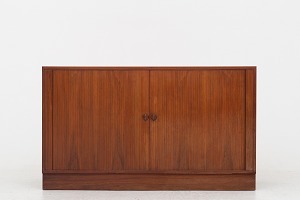 Sideboard with shelving, varnished walnut veneer, tambour doors. 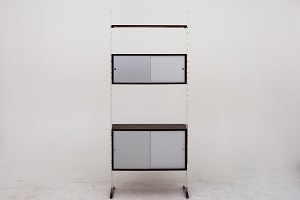 Top section with white-lacquered shelves and tapered pillars, base with slightly bowed front and two tambour doors enclosing shelves and sliding trays. 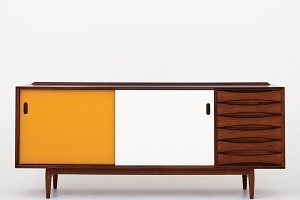 Designed in 1950. 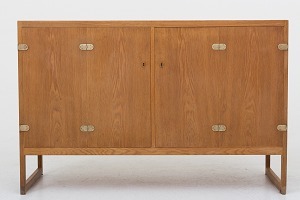 RY 26 - Sideboard in oak with two doors in cane and interior. 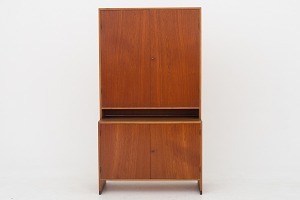 Linen-press in teak with cherry frame and 2 doors and 6 drawers. 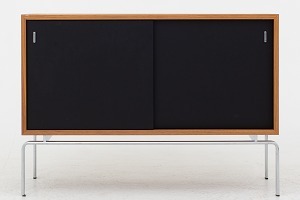 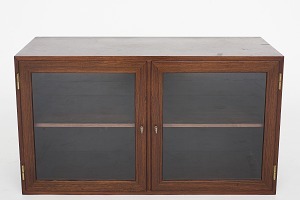 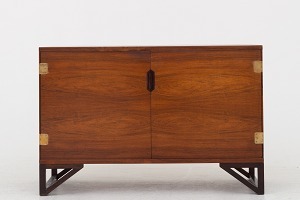 FK 100 - Sideboard in walnut with black doors and steel frame. 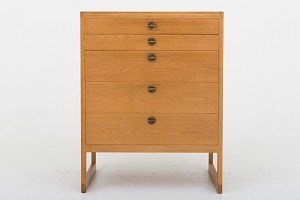 Skænk in oak with four drawers and two doors. 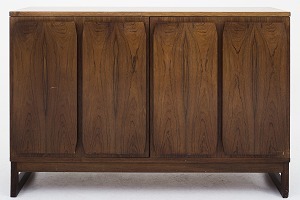 Sideboard in rosewood w. three doors. 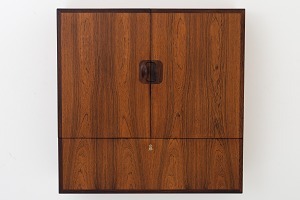 Cabinet in rosewood w. two doors. 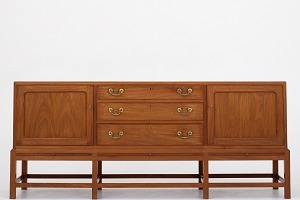 Sideboard in rosewood w. brass brackets. 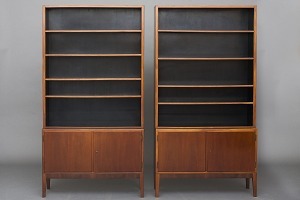 Used condition. 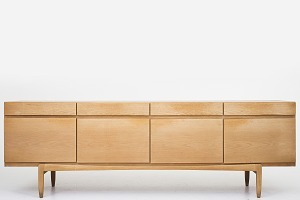 Renovation incl. 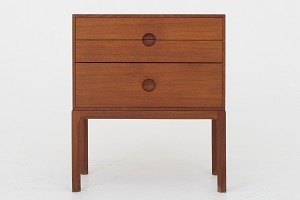 in the price. 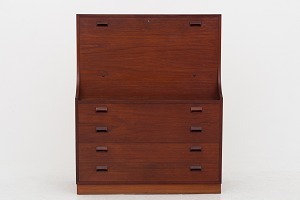 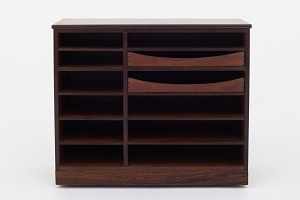 Create a rosewood with three drawers, three doors and tambour doors. 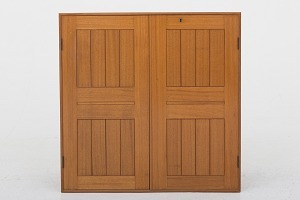 Cabinet in teak w. two doors. 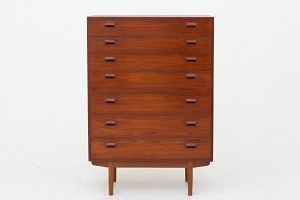 Chest of drawers in rosewood. 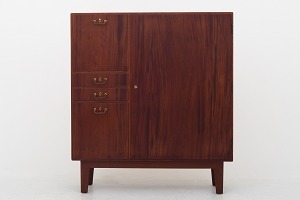 Unique cabinet in Cuban mahogany w. handles of brass. 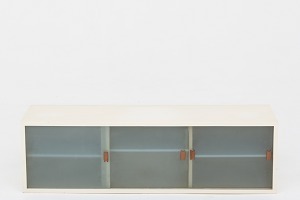 Exhibited in 1938. 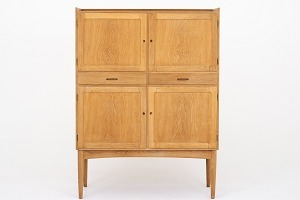 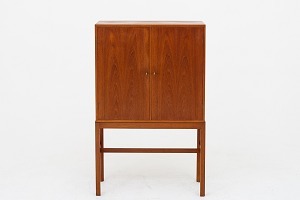 Tall cabinet in teak and oak w. four doors. 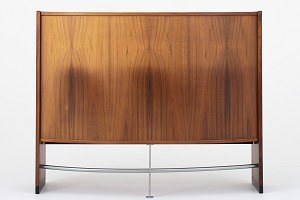 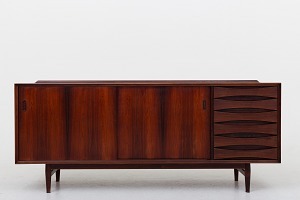 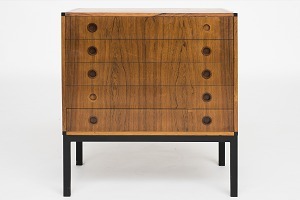 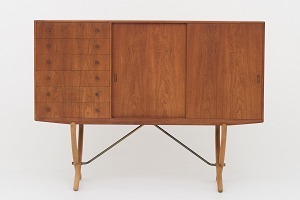 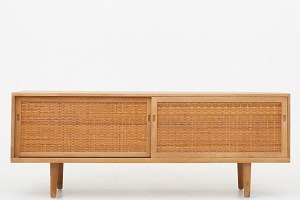 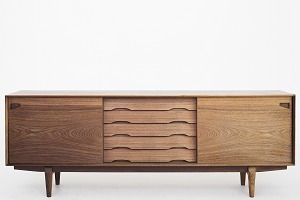 RY 25 - Sideboard in rosewood w. round legs and two tambour doors. 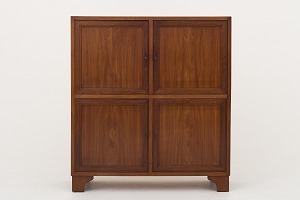 Tall cabinet in teak w. four doors. 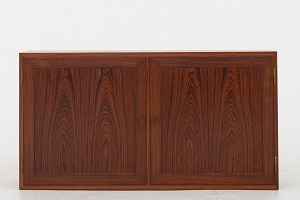 Chest in walnut with two doors and decor in ash. 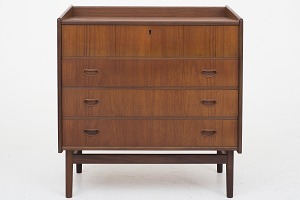 Location Roxy Klassik Showroom - Jorisvej 11, 2300 KBH. 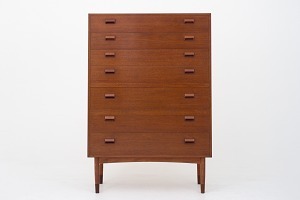 S.
Chest of drawers in walnut with 8 drawers and decor in of ash. 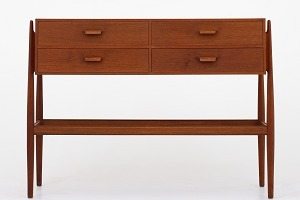 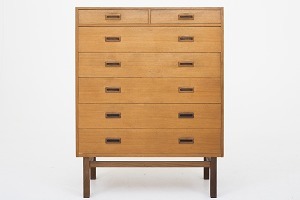 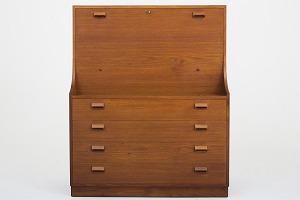 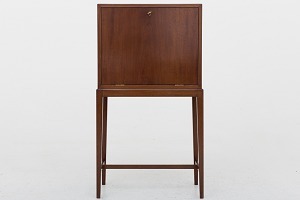 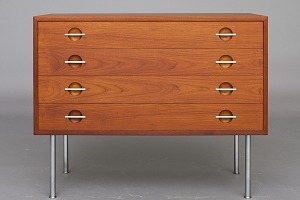 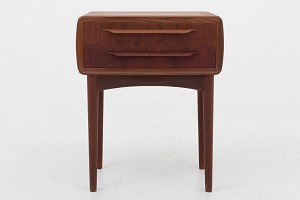 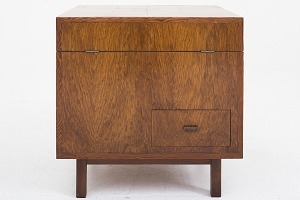 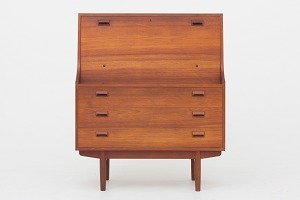 Bureau in teak w. three drawers. 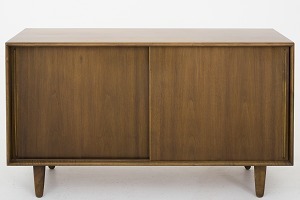 RY 26 - Sideboard in rosewood with two sliding doors with cane. 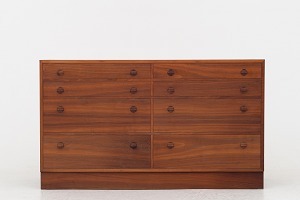 Chest of drawers in teak w. three drawers. 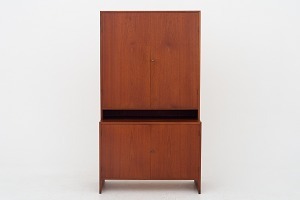 NO 386. 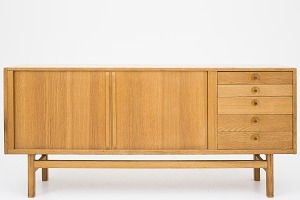 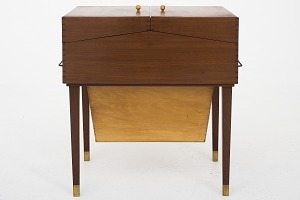 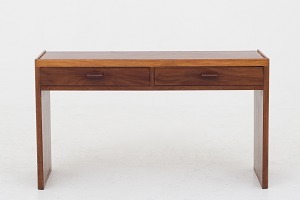 CH 304 - Cross-legged sideboard in teak and oak with brass hangers, six drawers and two sliding doors. 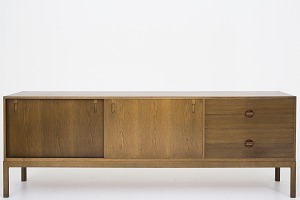 CH 304 - Sideboard in teak with oak cross-leg frame and brass hangers. 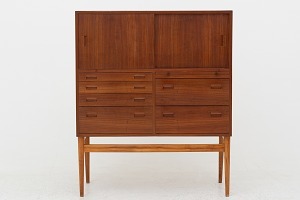 Front with six drawers and two sliding doors. 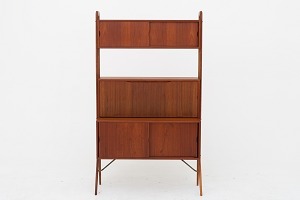 Shelf / room divider in teak with grey painted shelves. 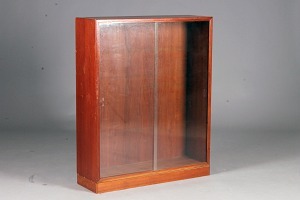 Wall-mounted display in stained mahogany and glass doors. 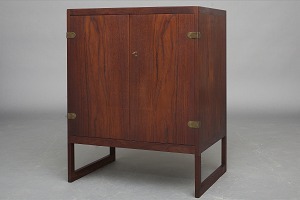 Cabinet in mahogany. 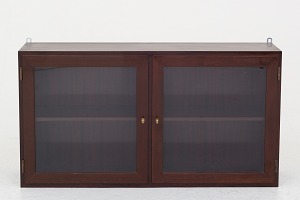 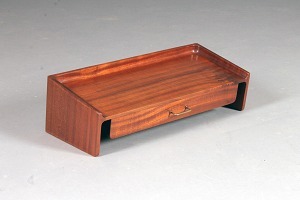 This is a sample photo and the cabinet is available in different variations and conditions. 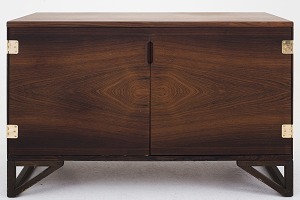 Please contact us for further information. 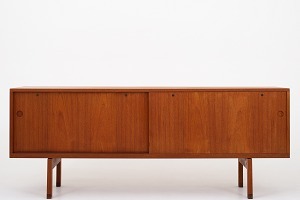 Sideboard in teak with two doors and four drawers. 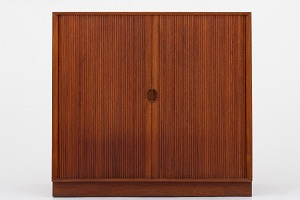 Cabinet in elm. 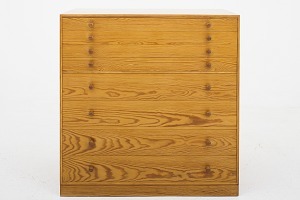 This is a sample photo and the cabinet is available in different variations and conditions. 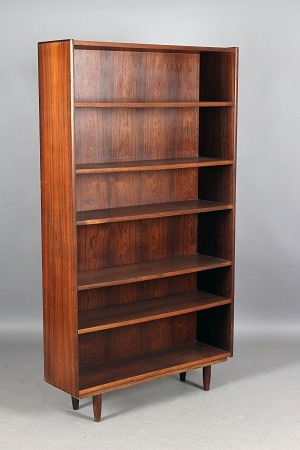 Please contact us for further information. 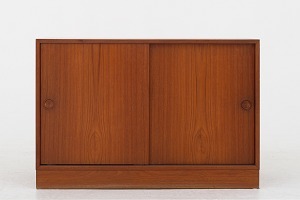 Hallway set consisting of low chest of drawers and mirror. 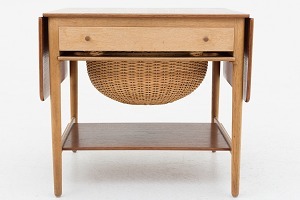 Good, used condition. 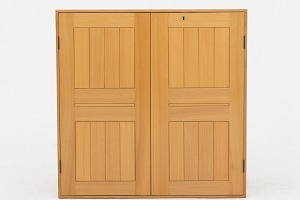 Few damages on doors. 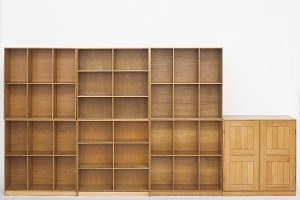 Please note, that this is a sample photo. 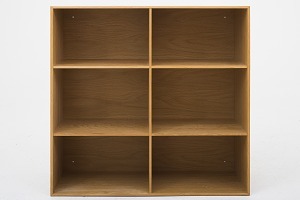 More available in different conditions. 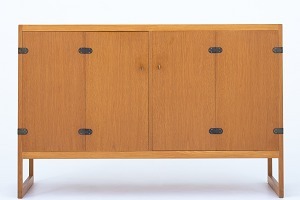 Please contact us for more information. 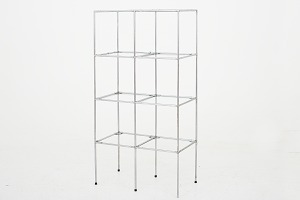 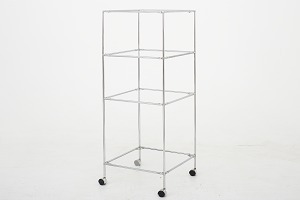 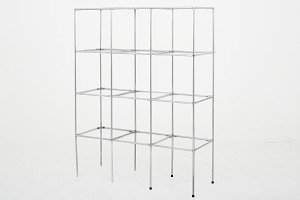 Abstracta storage system with shelves in glass and frame in chromed steel. 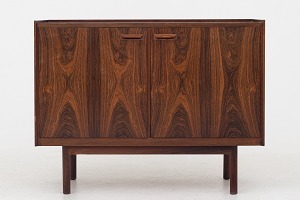 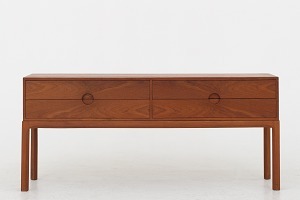 Sideboard in rosewood. 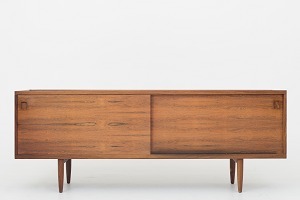 Model 65. 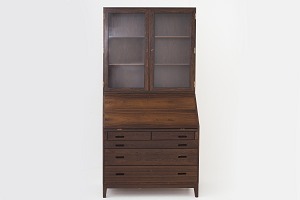 Glass Cabinet in teak with 3 drawers. 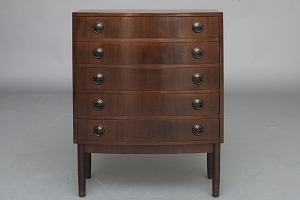 Chest of Drawers with 5 drawers in rosewood and base in black. 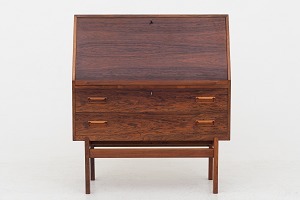 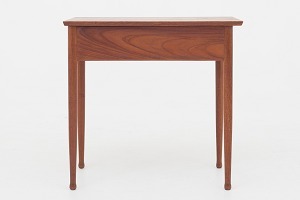 Bureau with writing desk in rosewood. 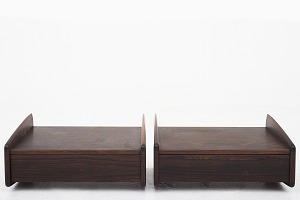 Gunni Omann / Omann Jun.